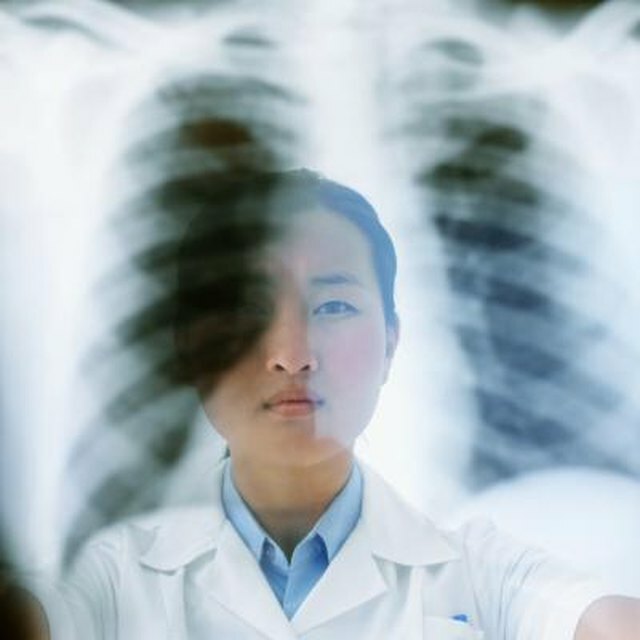 The lungs are made up of several tissues and cell groups that perform the vital action of respiration. Respiration is a central function in humans. Respiration is the biological process in which food and oxygen are converted into energy for cellular growth. The lungs help process oxygen and exhale carbon dioxide for our survival. If any of these tissues are damaged, your respiratory functions are severely limited. One of the most vital tissue groups in the lungs is the alveoli. Without the alveoli, respiration would not be possible. When a person breathes, air enters their body through the trachea. The air is then separated by the bronchi, which leads the air into both lungs. After the bronchi tubes, the air travels through a network of tunnels inside the lungs. At the end of each air tunnel is an alveoli sacs. When air enters into the alveoli sac, the blood vessels around the sac absorb the air immediately. Whatever gas is breathed in goes through the sac and is absorbed into the blood. The blood immediately separates the oxygen from the other gases in the air, most notably carbon dioxide. Simultaneously, the carbon dioxide is pushed back into the alveoli where, in the act of exhaling, the carbon dioxide is removed from the body. It is estimated that the average, healthy adult has over 300 million alveoli. Alveoli are small sacs of tissues in each lung surrounded by capillaries and blood vessels. There is a thin cell layer between the sacs and the surrounding blood vessels. There is also a thin fluid that surrounds the alveoli sac. The fluid and thin cell wall allows air to pass through the cells and into the bloodstream. The alveoli physically expand when you inhale to absorb as much air as possible. The alveoli sacs relax when you exhale. 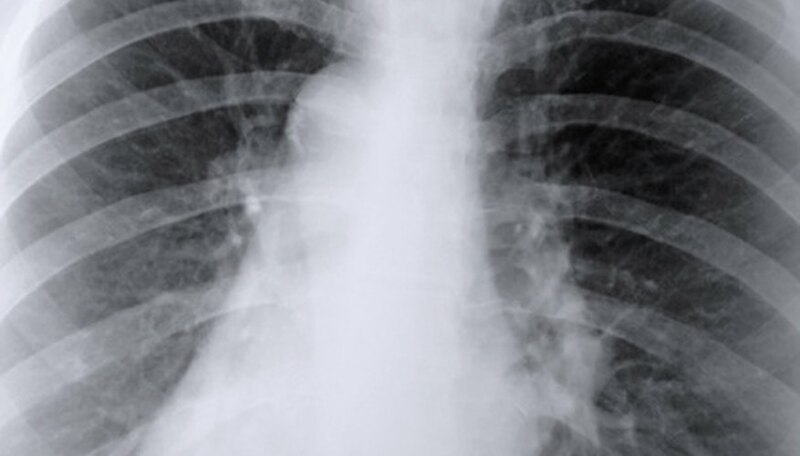 Emphysema is a lung condition in which the alveoli across both lungs slowly break down. Emphysema is mostly a result of lifestyle choices, such as smoking. The thin cell walls and fluid layers that help air diffuse into the bloodstream slowly disintegrate, causing lower amounts of oxygen to be diffused into the bloodstream. Emphysema is not the only condition that can damage alveoli, but it is one of the most dangerous lung conditions since it directly impacts respiration. Fitzpatrick, Mark. "What Are the Functions of Alveoli in the Lungs?" Sciencing, https://sciencing.com/functions-alveoli-lungs-7234440.html. 13 March 2018.